Best Book for Teaching Gospel Doctrine in Jan. The 2015 New Year is almost here; a time we all reflect on how to be a little better and more Christ like. With that in mind, I have started a blog called “Today’s Recharge” where each weekday I post a quick powerful thought from the scriptures (mostly D&C right now) to help re-energize a person’s mind and spirit. You can think of it as nourishment from the scriptures to help us be the men and women of God we were meant to be. They are mostly insights from the Institute class I teach each week. It’s made so that each morning you’ll get an email with a scripture and short recharging message to help you be the person you want to be. I want to invite you to go to http://todaysrecharge.blogspot.com and see some of those short posts. Also, please enter your email on the right side of the page. That way the new weekday posts will go automatically to your email. I hope this can be a bit of strength to you as you start out this New Year. With Christmas so soon I’m sure you want to finish off your Christmas shopping list. Please consider one of the following. Impractical Grace: A short novel that teaches one of life’s most important messages -of receiving God’s grace and learning how to give that grace to others. 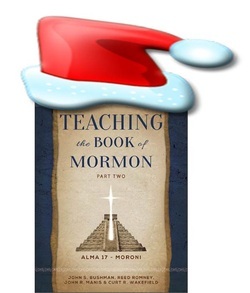 Teaching The Book of Mormon: Perfect for anyone who wants great teaching ideas and insights into the Book of Mormon. Go to www.johnbushman.com to learn more about all the books and to read reviews, and read the first pages or chapters. You can also CLICK HERE to see these books on Amazon. A Free Copy of Impractical Grace. 2. Share on Facebook (preferably click on Share on the right hand side of the Amazon page for my book). Easter is coming soon. 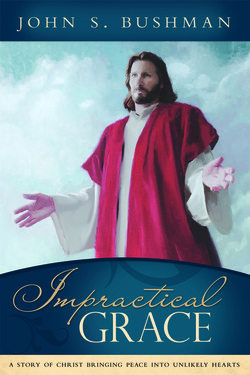 Impractical Grace is the perfect gift about how the Savior changes lives through His Atonement. It is a life changing book. Here are a few comments on the book. CLICK HERE to get a free read of the first few chapters that will hook you. There you will also see more reviews and ordering information. Or CLICK HERE to see it on Amazon for just $11.97 or on Kindle for $5.99. 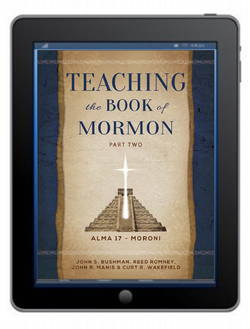 The Kindle version of Teaching the Book of Mormon: PART TWO just came out! We are making a special deal; if you buy the Kindle version, we are going to let you have the PDF of it for free. The additional PDF is nice to have on your other devices. Just let me know when you have bought PART TWO by email johnbushman789@gmail.com . Then I’ll send that PDF to you. The Kindle is only $9.99 right now, and the paperback version is $20.28. Get’em while their hot! Congratulations and thanks to everyone for sharing! There were 250 entries. You can still get the book in time for Christmas. Click Here to see the book at Amazon. Again, Click Here to see the YouTube Trailer for the book, See inside, and more details. And have a very Merry Christmas! 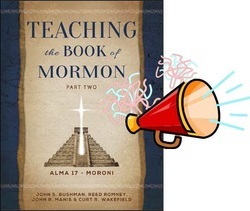 THIS VERY DAY -Teaching The Book of Mormon: PART TWO is finally out. To celebrate we are starting a drawing for FOUR lucky individuals to win a copy of the book. Enter by clicking on "Use Your Email". That way I can contact you when you win. PART TWO of Teaching the Book of Mormon is almost here! Click Here to see it on Amazon. Click Here to see a YouTube trailer for the book, see the first chapters, reviews, and more. Click Here to see PART ONE on Amazon. Remember that Seminary content has been moved to www.nwseminaryshare.weebly.com .